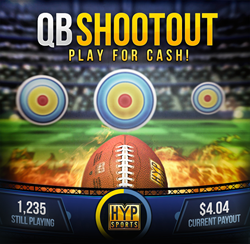 QB Shootout is now available on HypSports, the pioneering interactive broadcast app. We schedule our free daily competitions on HypSports like traditional broadcasters program their lineups. Each event has a scheduled start time, and includes live hosts who call all the action." — Mike Taramykin, CEO of HypSports. HypGames, Inc. — an interactive sports entertainment leader — announced today they’ve added the daily arcade-action football competition QB Shootout to their free interactive broadcast platform, HypSports. The game is the third offering on the HypSports mobile app to provide real cash to winners. 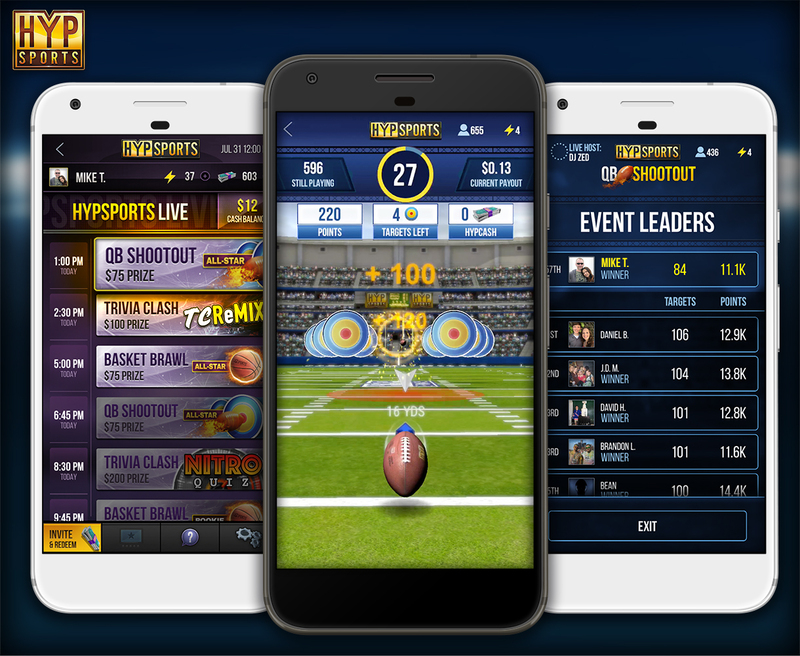 HypSports leads in industry innovation as the first app to combine the appointment mechanics of popular trivia apps with the arcade action of best-selling sports video games.